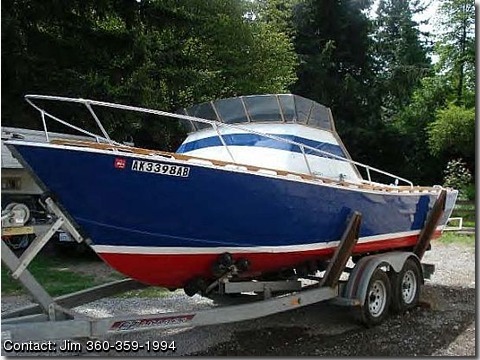 1964 22' Chris Craft Cavalier – Excellent condition. Motor & Transmission have less than 150 hours on them. 350 Gray Marine engine. VHF radio, CB, depth sounder. Always cleaned and stored covered. Custom made cover. 9000lb galvanized trailer in excellent condition with new wheels & tires. Located in Federal Way, WA.